The Salesian educator is a disciple of Don Bosco, the Father and Teacher of youth; hence, he follows Don Bosco’s Preventive System of education. Those engaged in this great task of educating in the Salesian way understand that aside from teaching or imparting knowledge, values and work skills, Salesian education involves a deep, personal rapport between teacher and student and requires the educator’s mature sense of discernment and moral responsibility over those entrusted to him. In this style of education, the climate or ambience where education and formation take place, is just as important as the content of education. This educational climate is characterized by mutual trust, respect, joy, spontaneity and the so-called “family spirit”. Like his role models St. John Bosco and St. Mary Domenica Mazzarello, the Salesian educator accompanies the young that they may grow fully and freely into the persons God has meant them to be. 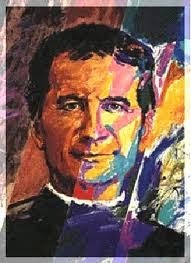 To Don Bosco, “education is a matter of the heart”. It starts with an educator having a heart that almost literally beats for the young. He approaches, not waits for the young to come to him. He believes that in every person there is that seed of goodness which love and God’s grace can unearth, nourish and make bloom. He believes in the power of goodness and persuasive words and never uses force or threatening words and gestures. It is important to educate with the heart because young people want to be recognized and given importance, be understood and loved. When the young person knows and feels that he is truly loved and trusted, everything becomes easy. Educating with the heart is like applying a lubricant that facilitates easier absorption of what the young have to know and live. The Salesian educator knows that when he has won the heart of a child, especially one who is a difficult or tough, more than half the battle is won. And how the young respond to kindness! They can be the teacher’s most loyal, dependable wards and collaborators, ready to risk their lives for him. Thus, one of the strongest convictions of the Salesian educator is belief in the transforming power of love. Educating with the heart, the educator forms and produces upright citizens who are able to fully experience life as human beings and as Christians: people who are true to God and men… people of service… people of hope, peace and joy. Because they have been truly loved, they could love in return. Loving kindness is the Salesian educator’s way of opening hearts and gaining trust. He knows that young people need a friend, a confidant, an alter ego who listens with genuine (not faked!) interest and concern. Very often, young people find themselves in a quandary. When they ask their peers for advice, their friends’ honest but impulsive or often unreflected response makes things worse. The Salesian educator, having gained more experience and training from life, usually gives an answer that takes the young out of his dilemma. Hence, this educator must be a person of prayer, one enlightened and guided by the Holy Spirit. The aspect of religion in the Preventive System is that which opens the young to the meaning of life. God who created him has a beautiful plan for him and for all creation, and this God is truly alive and present. Hence, the Salesian educator has the vital task of leading the young to an encounter with God in his daily life, and in walking with him along the path that would lead them both to heaven. Here, it is necessary to point out to the young the radiant beauty of virtue and the ugliness of sin. The Salesian educator is tireless and creative in providing the young joyful experiences of the wholesome and the good and in the way that young people enjoy, e.g. camps, dance/music competitions, games and sports, drama and various forms of presentations using modern technology. Therefore, what sets the Salesian educator apart from other educators? First, he is someone who walks the talk, who practices what he preaches. As early as in his formative years – preferably from his own youth to the time he is professionally prepared to teach and form young people – it is necessary that the Salesian educator has himself lived the Preventive System. It must have been his own way of life and spirituality before adopting it as his method of education. It must have pervaded all aspects of his being, of his personhood so that he clearly understands that education must be integral, must contribute to the development and growth of the whole person in all the aspects of his being. It is said that educators are born not made. But even if one has the mind and heart of an educator but lacks the practice, his educational philosophy and style remain but a theory or a desire. Thus, it is necessary that the educator likes and wills to be with young people and share their life experiences, and learn to love what the young people love. A Salesian educator’s love for his students is manifested in concrete words and gestures. Don Bosco said: “It is not enough for the young to be loved… above all, let them feel/experience your love for them.” It is imperative, therefore, that the Salesian educator loves with a pure heart so that the expression of his love for the young becomes unequivocal. This love is best expressed in what is known in Salesian lingo as “presence” and “assistance”. It is the educator’s way of saying “I’m here for you, cost what it may.” This physical and real presence among the young often entails certain renunciations like giving up an afternoon nap or reading one’s favorite book, or simply being in front of an electric fan instead of being in the sunny playground. This moment of assisting the young especially in their leisure or free time is a privileged moment to know them deeply. It is here that they are best themselves. It is also here that the educator can best inter-act or intervene in a friendly or fatherly/motherly way. Loving the young authentically and aware of their needs and expectations, the Salesian educator is able to play multiple roles motivated by his desire for their well-being in this world and in the next. As a father, he is preoccupied -- nearly 24 hours a day -- with their needs, their safety and welfare, their future, their social environment, their emotional state, their moral and spiritual life, their very souls. As a teacher, the educator communicates knowledge and views needed by the young to get by and succeed in life. He also transmits values and inculcates the needed positive attitudes. Another beautiful relationship that the Salesian educator establishes with the young is that of friend or big brother. In spite of their age gap, he loves his little brothers with respect and sensitivity, taking them seriously and seeing to it that no one bullies or makes his brods a laughing stock. But like Don Bosco who takes after Jesus, the Good Shepherd, probably the best rapport is that of the true shepherd who lays down his life for his sheep. It is the prevenient love of a shepherd thatmakes him search for the lost, reach out to the lonely or troubled and have an eye for everyone. Love softens and tempers the Salesian educator even or specially in moments of tension. But love also emboldens him and makes him take risks for the welfare of the young. It is not just the call of duty, but true love that leads him to expose himself to dangers and difficulties in saving the young. And like Don Bosco, the Salesian educator has the young always at heart………. up to his last breath! - Sr. Malen Estacio, F.M.A.